Other legends ranged from the great aunt who ran illegal hooch during Prohibition to the wronged Victorian servant girl who bore an illegitimate Hardy, not forgetting the family's rightful claim to a large country estate. 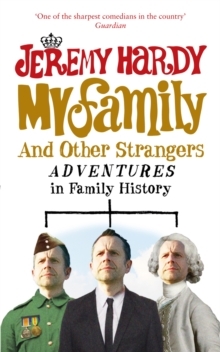 Wild stories aside, Jeremy sets out to such diverse locations as the Croydon one-way system and the hostile waters around Malta in order to find traces of recognisable family traits and a sense of how he came to be. 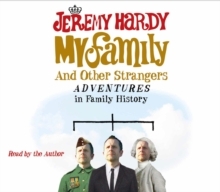 With wry humour and a keen eye for the absurd and the frustrating, Jeremy takes us on a by turns funny and moving journey into the world of family ancestry. My Family and Other Strangers will be enjoyed by anyone who has tried to decipher the 1901 census records, or simply wishes they too had asked their grandparents more about their lives.